IGNOU Allows their students to Re-Evaluate their Marks if they are not satisfied with the results, you can fill a simple Form to Re-evaluate your Examination Answer Sheets for Rs. 500/- per course. Its Very Easy to Fill the form for reevaluation of Answer Scripts of your Examinations. If you want to fill the form then Apply for re-evaluation before 31st March for result of December term-end examination and 30th September for result of June term-end examination. 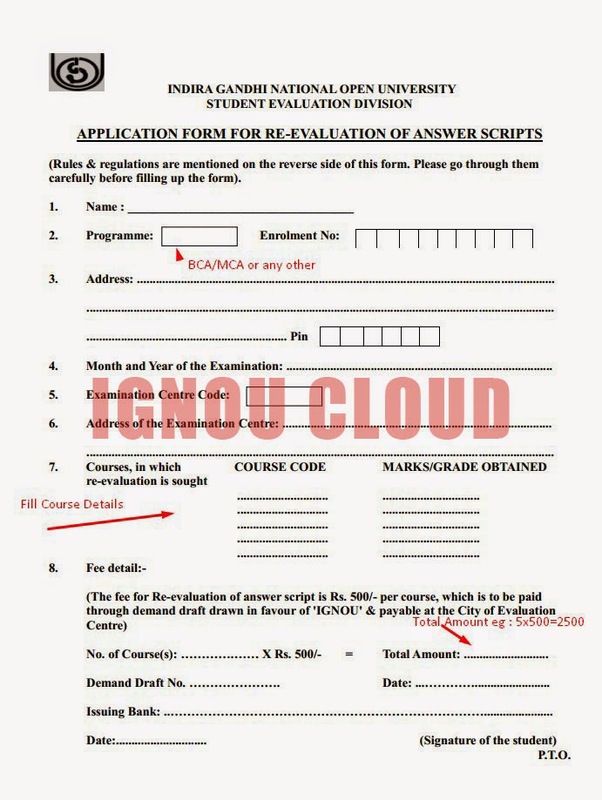 Here is the Demo of Rechecking form in IGNOU. placed on the IGNOU website. courses, Workshops, Assignments & Seminar etc.